The perfect journey cannot be summed up by one facet and neither should it be in our minds. Instead, a perfectly crafted adventure is the culmination of a variety of essential travel ingredients coming together in sheer harmony, or for better want of description here, the formation and crafting of a richer travel story. As we all know, adventure isn’t for the timid. The whole point of an adventurous journey is that it stirs up a flurry of excitement with each and every facet unraveling the beginnings of an epic story waiting to be told. Here at Brown + Hudson, we ask that you leave with your minds open, revel in stimulation, ooze and accept passion and propel yourselves willingly towards the unknown with no fear or preconceptions. Beauty is everywhere, but only travel has the ability to unveil varying forms of this, perhaps we will encounter a beauty we have never seen before, or possibly discover things we would never naturally conceive as being remotely arresting. From evolving topography, exotic bustling cities, to the colourful contrasts of pretty isolated villages, the beauty discovered on our travels is worthy of changing our perspectives and our perceptions in its own right. 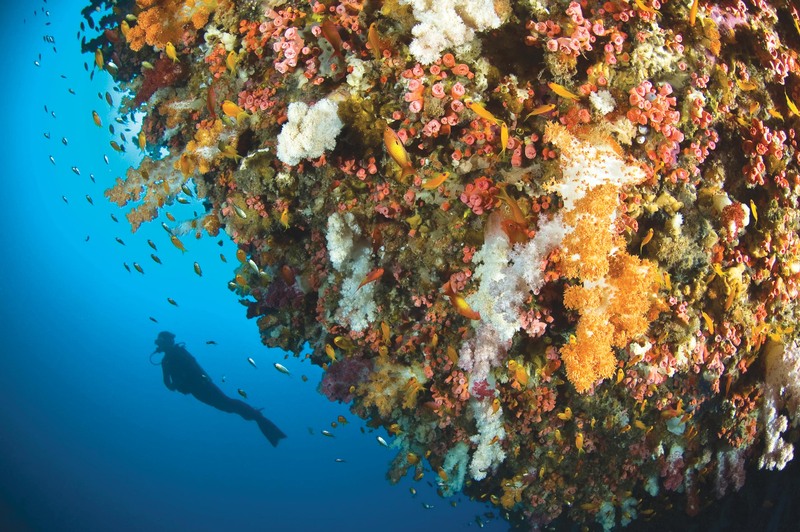 You may find beauty whilst diving off Mataking Island in the South Pacific. Here you will encounter sparkling white sand and mesmerising blue waters. Mataking Island is the ideal getaway for both the avid diver and of course the non-diver truly adhering to that ‘I want it all’ idea we talked about earlier. Divers can gear up and explore the Eel Garden, Coral Garden, Nudibranch Garden, Turtle Playground, Lobsters Lair and Hump Head Point. For the non-diver there is the option of indulging in a luxurious pampering experience, enjoying a spot of batik painting, paddling in a kayak between hidden lagoons, or even donning those walking boots for an intrepid hike through the jungle. One thing is definitely true of adventurous journeys, if you’re not sweating; you’re not doing it right. So why not embark on some thrill seeking activities to really get those endorphin’s pumping? Try throwing in a trip to Nicaragua… but don’t stop there.Why not volcano board down its precipice? Here you will strap a board to your back and begin an ascension of approximately 2388 ft. (728m) up a black mountain of loose rock. Having reached the top, there is nowhere to go but down. There will be nothing quite like the silence you will encounter on your adrenaline pumping ascent. Descending an active volcano at 30 mph on a small piece of wood may sound like sheer madness to some, but this could be a lot of fun and most certainly offer a differing perspective of the terrain and land around you. Good fun is definitely earned in this sense and there is simply nothing better than that feeling of overcoming a challenge and pushing yourself physically. The idea and the notion of connecting with differing cultures is perhaps one of our biggest perception game changers. Coming across different cultures, different views and differing ways of life can have a drastic influence on how we judge and perceive the world. Putting a face to our destination humanizes the art of travel and helps us remember those feelings we so beautifully unraveled whilst we were busy exploring intrepid lands. To gain a real sense of this, why not head to Peru. In our minds, Peru is one of those places that make iconic countries like Thailand and New Zealand seem positively modern. This nation’s thriving melting pot of cultures reflect a vibrant and truly diverse community with its roots dating back to the Incas and other such sophisticated pre-Colombian civilizations. Peru is positively teeming with archaeological wonders that tell a rich and diverse story about its preceding civilizations. In turn, this has left a legacy that lives on today in its customs, its art and its traditions that is simply breath-taking to experience. Why not spend your time climbing Machu Picchu? Whilst you are here, perhaps stop along the way to sip the odd coca tea with some locals. If that doesn’t appeal or you are looking for something a little less strenuous, why not indulge in a shamanic healing therapy. Thought to be one of the oldest healing practices on earth, this therapy stretches back thousands of years and links to indigenous cultures across the globe. Shamanism is rooted in the belief that everything has an energy and that, sometimes, work needs to be done to bring things back into balance. This will certainly be a great eye opener in terms of an ancient cultural belief to really get you immersed and looking at life from a totally different angle. In short, here at Brown + Hudson we believe that journeys should never entirely be what you expect them to be. We can sit here laying down the intricate details of your travel plans to a perfect ‘T’ and my gosh do we try! We arrange absolutely everything for you, we lay down the intricate trail and scatter it with activities you will love, but one thing we can never truly capture or foresee in those plans, is the life, the personal experiences and vivacity you will encounter along your path. Though we know our areas like the back of our hand, we have traveled far and wide to advise you on places we know you will love, we are merely planting a seed in comparison to what you will see on the ground. We know the art of incredible travel and we know the makings of an epic tale… you just have to live it and tell us all about it when you come home!